At the recent Healthcare Think Tank, At the Crossroads: Technology and Transformation in Healthcare, sponsored by Dell, we had some very interesting discussions on a wide variety of topics. I will be highlighting some of the topics we covered in a few posts over the next couple months. At the first Think Tank three years ago at the HIMSS conference in Las Vegas I said that "Big data is the next big thing in healthcare." One of the hot topics discussed at this years Think Tank springing out of the HIMSS conference was health data analytics. I have also said that data analytics is the third wave of health IT that we're undergoing, after data capture and data sharing. It is this component - having robust analytics capabilities - that will provide the return on investment for the massive amount of government and private sector spending on health IT in the past few years. In it's recent report "Top Actions for Healthcare Delivery Organization CIOs, 2014: Avoid 25 Years of Mistakes in Enterprise Data Warehousing" Gartner makes the point that healthcare has a compelling need to use more information, and use it better. Enterprise data warehousing (EDW) is an important analytics component addressing various needs: The integrated clinical and business EDW; EHR; claims/revenue cycle; ERP; cost accounting; and patient satisfaction data. Now that we have widespread adoption of EHRs, providers should leverage EHR data by advancing retrospective and real-time analytics because the superior use of analytics will be a dominant factor for success over the next 4-5 years. As a gushing of new data streams are on the way, CIOs cannot afford the cost, time or agony of repeating classic blunders (avoiding the "nine fatal flaws" in business operations improvement), just to get to an integrated warehouse with clinical data. They point out the Integrating business/financial and clinical data into an effective EDW is the top new healthcare IT initiative and will be necessary to succeed. In it's report Gartner stresses the need for strong information governance and the importance of data quality. They also warn not to overestimate the value of a commercial vendor's data model, to avoid underscoping the total effort and personnel needs, and never treat an EDW as just another module from the EHR vendor. They acknowledge the deep need for analytics solutions and show that the shift in payment models fueling this need includes both incentive-based and risk-reward payment models. 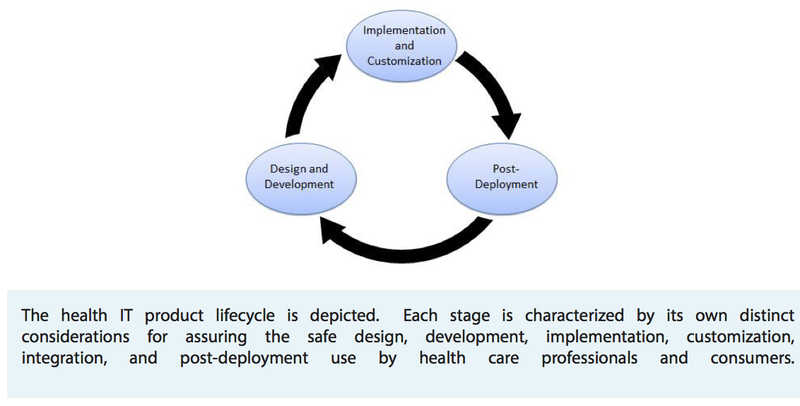 In the September 2012 Electronic Healthcare, a new eight-stage Analytics Adoption Model similar to the seven-stage EMR Adoption Model (EMRAM) from HIMSS Analytics was proposed. This model is being widely used to help analytics companies to inform their strategy and product roadmap. An excellent whitepaper that explains the model in greater detail is available HERE. Now HIMSS Analytics has partnered with the International Institute for Analytics (IIA) to create a benchmarking survey designed to measure and score clinical business intelligence and analytics maturity in healthcare organizations. They will use the DELTA model (data, enterprise-focus, leadership, targets and analysts) to assess analytic capabilities. The survey measures 33 competencies based within the DELTA model framework to assess the importance of each competency to the organization and the organization’s effectiveness in performing each competency. Off topic for this blog, but a very disturbing story has emerged in the Ukraine that I think deserves a lot of attention. It is being reported that leaflets with instructions to "register" were handed to Jews as they left synagogue following holiday prayers. 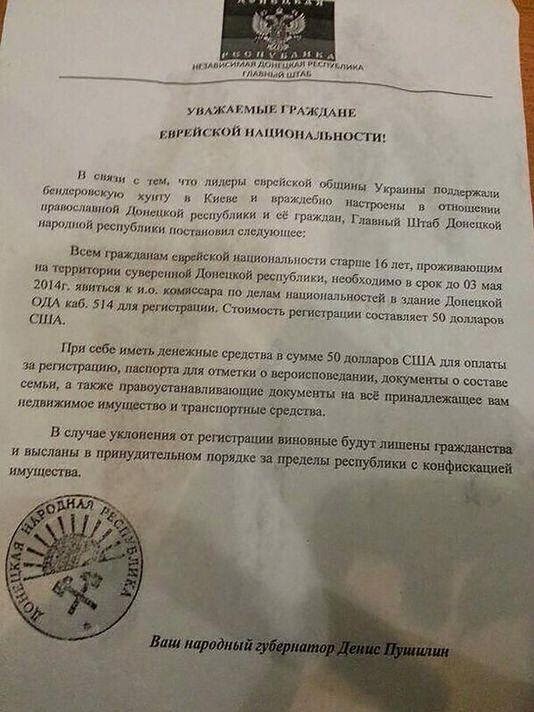 On the first day of Passover this week, three armed men in the eastern Ukrainian province of Donetsk distributed flyers warning Jews to “register” themselves and their assets with the new pro-Russian government. The leaflets bore the name of Denis Pushilin, who identified himself as chairman of "Donetsk's temporary government," and were distributed near the Donetsk synagogue and other areas. In interviews with local media Mr. Pushilin rejected the content of the flyers, and also denied that his organization was behind their printing. "Some idiots yesterday were giving out these flyers in targeted areas," he said, claiming that he had never himself used the "people’s governor" title. "Dear Ukraine citizens of Jewish nationality. Due to the fact that the leaders of the Jewish community of Ukraine supported Bendery Junta," a reference to Stepan Bandera, the leader of the Ukrainian nationalist movement which fought for Ukrainian independence at the end of World War II, "and oppose the pro-Slavic People's Republic of Donetsk, (the interim government) has decided that all citizens of Jewish descent, over 16 years of age and residing within the republic's territory are required to report to the Commissioner for Nationalities in the Donetsk Regional Administration building and register." Steps are being taken to de-escalate the crisis. The United States, Russia, Ukraine and the European Union reached an agreement at a meeting in Geneva, Switzerland that calls for armed pro-Russian bands to give up the government buildings they have seized in eastern Ukraine and outlines other steps. But the agreement, described in a joint statement, does not specifically require Russia to remove the approximately 40,000 troops it has on Ukraine’s border as President Obama has demanded. According to a report in The New Republic the Donetsk Jewish community dismissed this as "a provocation," which it clearly is. "It's an obvious provocation designed to get this exact response, going all the way up to Kerry," says Fyodr Lukyanov, editor of Russia in Global Affairs. "I have no doubt that there is a sizeable community of anti-Semites on both sides of the barricades, but for one of them to do something this stupid—this is done to compromise the pro-Russian groups in the east." 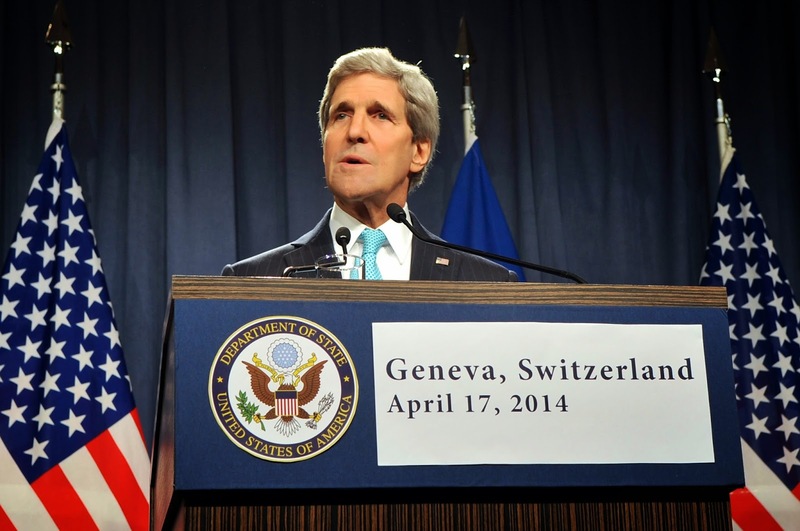 The situation with the leaflets was also discussed at the meeting in Geneva. Secretary of State John Kerry stated Jews in one Ukrainian city were were sent notes "indicating that they have to identify themselves as Jews." "In the year 2014, after all of the miles traveled and all of the journey of history, this is not just intolerable, it's grotesque. It is beyond unacceptable. And any of the people who engage in these kinds of activities — from whatever party or whatever ideology or whatever place they crawl out of — there is no place for that." All parties at international talks on the Ukraine crisis Thursday unanimously condemned anti-Semitism and other forms of religious intolerance, Kerry said. Also, members of the Russian Orthodox church in Ukraine were recently threatened that they would be attacked in the coming days by members of the Ukrainian Orthodox Church, Kerry said. The agencies are also holding a three day public workshop on May 13, 14, and 15 2014 at the National Institute of Standards and Technology to discuss the framework and its components. I would encourage anyone interested in health IT including consumers, providers, and healthcare organizations to register for the workshop HERE. It will be available via webcast or in person, but registration is required. "ONC welcomes comment on the draft report and stands ready to collaborate with stakeholders to ensure that health IT is designed and used with both innovation and patient safety in mind," National Coordinator for Health IT Karen DeSalvo said. Included in the framework is a proposal for ONC to create a public-private Health IT Safety Center in collaboration with the FDA, the FCC, HHS’ Agency for Healthcare Research and Quality (AHRQ) and other stakeholders. The Health IT Safety Center would work on best practices and provide a forum for the exchange of ideas and information focused on patient safety. In the FDASIA legislation Congress required the FDA, ONC, and FCC to develop “a report that contains a proposed strategy and recommendations on an appropriate, risk-based regulatory framework pertaining to health information technology, including mobile medical applications, that promotes innovation, protects patient safety, and avoids regulatory duplication.” This report fulfills that requirement. The report proposes a risk-based regulatory framework for health IT which focuses on the functionality of health IT products not the platform themselves. The report suggests there will be few changes to most regulatory policies, and although they touch on mobile health applications, they don’t provide any new details on how the FDA will regulate mobile health apps deemed to be regulated medical devices or accessories to medical devices. 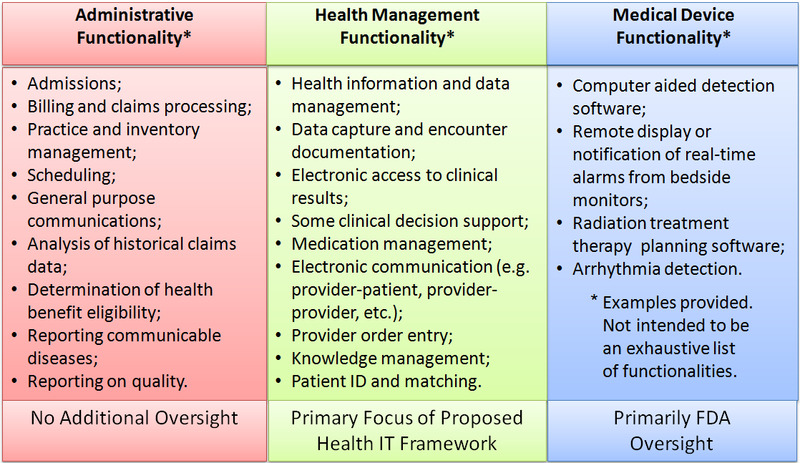 Medical device health IT functions (FDA oversight continues). Medical device health IT functionality is where FDA will focus its oversight. Oversight of health management health IT will be through the enforcement of standards and through testing and certification, primarily overseen by the ONC. Conformance to standards will be used to meet some regulatory requirements. This is the area that will have the broadest impact on the health information exchange market. The report concludes that product testing, certification and accreditation can provide assurance that certain products, services, systems, or organizations meet specified standards or fulfill certain requirements. They recommend that these tools should be used and applied in a risk- based manner to distinguish high quality products, developers, vendors and organizations from those that fail to meet a specified level of quality, safety, or performance. They also recommend that non- governmental, independent programs to perform conformity assessments should be developed to fill current gaps. As I mentioned, they have also proposed the creation of a Health IT Safety Center (funding has already been included in the President's budget request to Congress). This public-private entity would be created by ONC, in collaboration with FDA, FCC, and the Agency for Healthcare Research and Quality (AHRQ), with involvement of other Federal agencies, and other health IT stakeholders. They are seeking comment on how to best implement the creation of this entity. Instead of regulation, they will rely mainly on stakeholders reaching a consensus and voluntarily abiding by agreed-on industry standards. Create an Environment of Learning and Continual Improvement.